So on to the final steps in the great Summer Linen Jacket make. 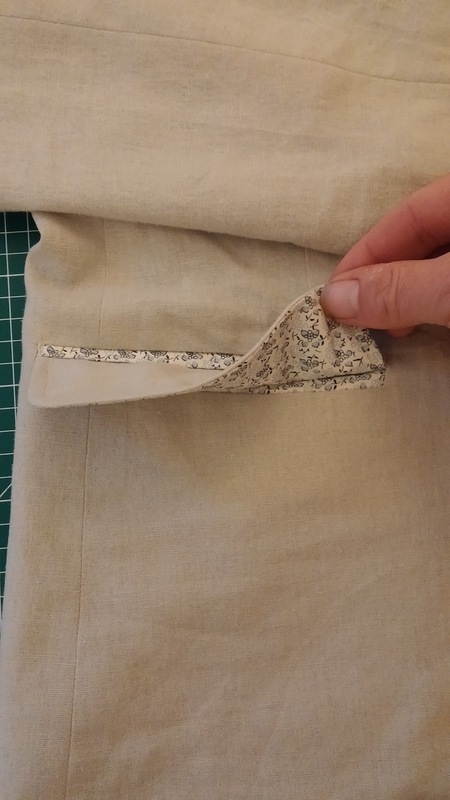 The lining….I always seem to forget that when you make a lined garment you essentially end up making it twice: Once for the outside and once for the inside! 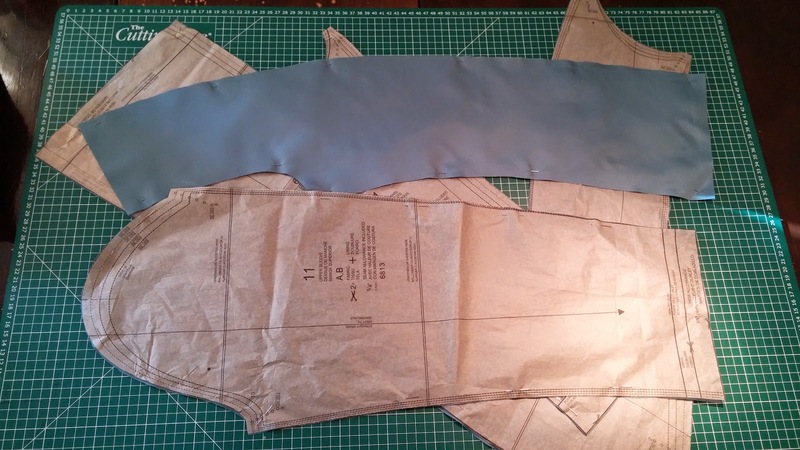 Anyway I’m not going to bore you with every step as if you have followed me this far the lining is pretty easy. 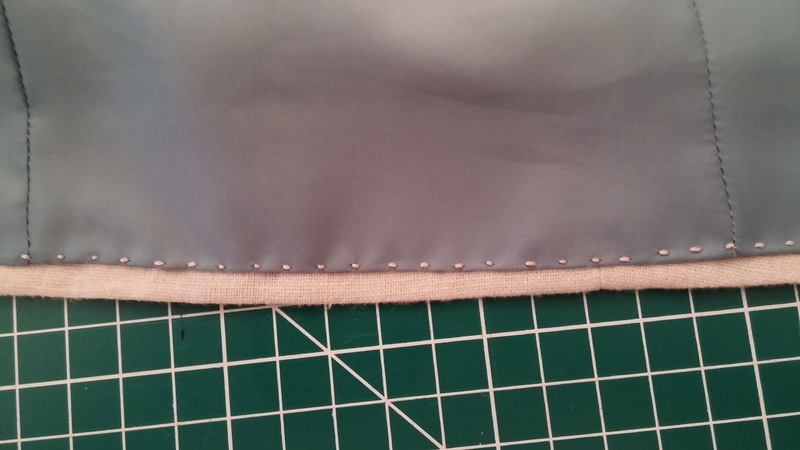 OK I like to finish things a bit differently and had some white bias tape spare so will use this to form a edge finish like piping where the lining meets the jacket. Here is a trial. Bias folded over and stitched 3/8 inch from raw edge of lining RST. Now stitch the facing with the usual 5/8 inch allowance. open and press. Nice bit of piping. 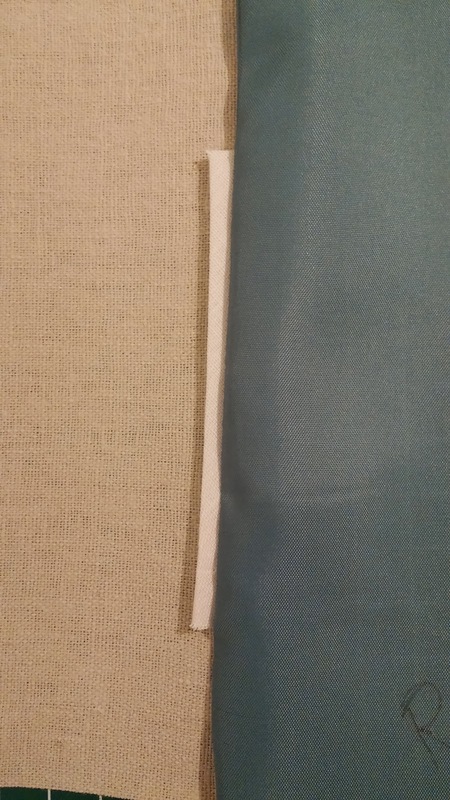 So Bias tape (folded) stitched at 3/8 inch all the way around the lining on the right side. 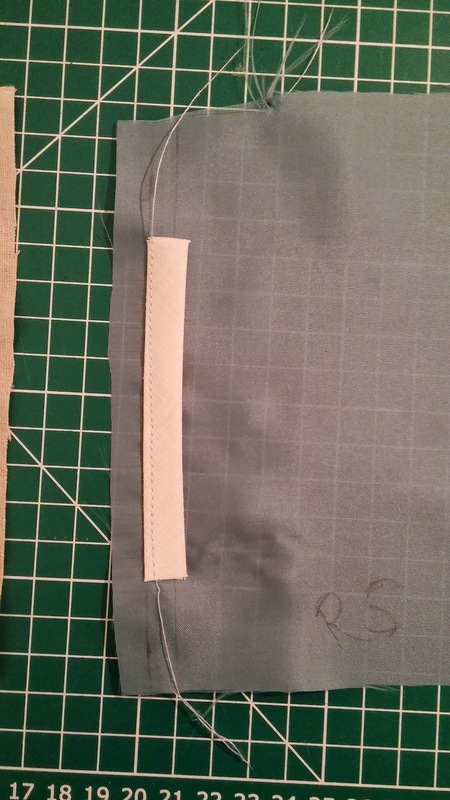 Pin the lining to the right sides of the jacket facings. NOTE! I do not bag the lining! 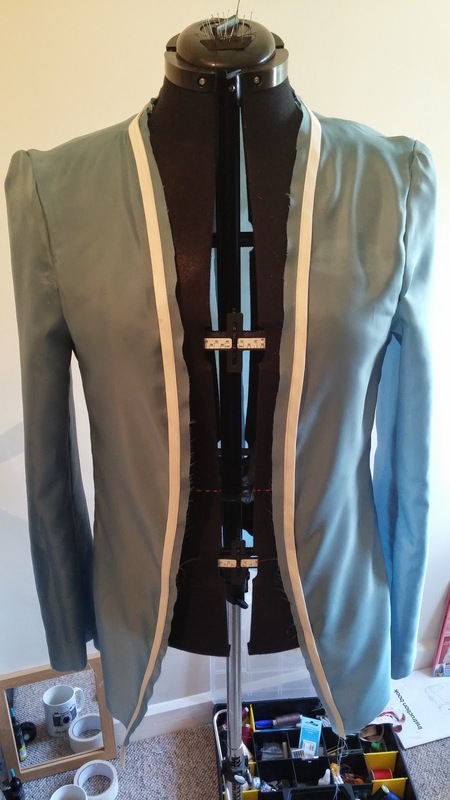 I like to sew the facings to the lining then hand stitch the lining to the jacket hem. Yes it looks a little messy but when sewn it’ll work. 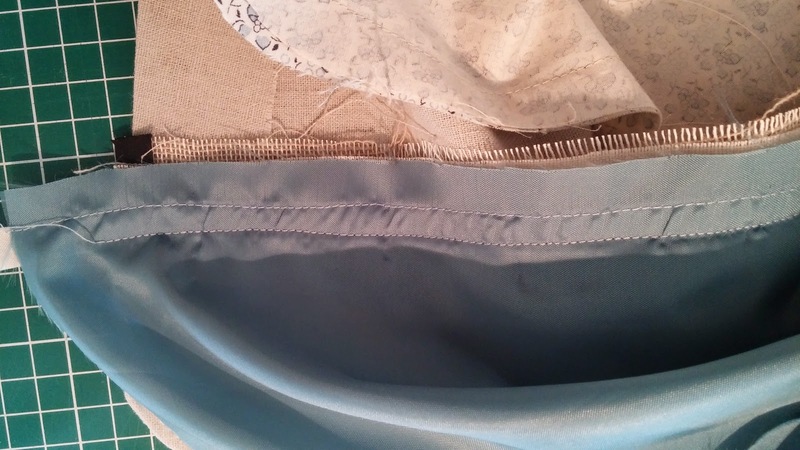 Here you can see the sticking where I sewed the piping and the stitching at 5/8 inch for the seam. It also catches the interfacing you put in last time! 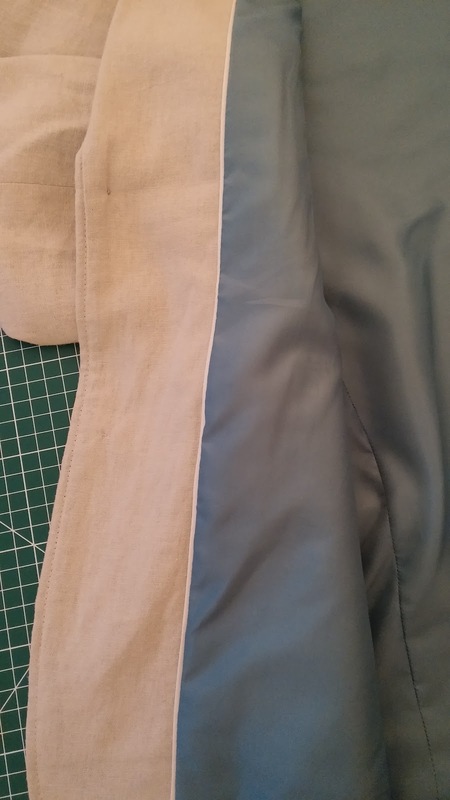 Turn everything right ways out and there should be a lining attached showing the white piping. 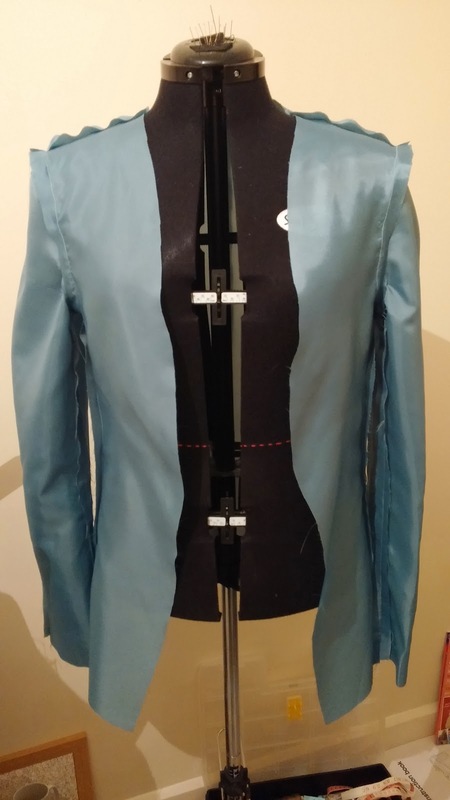 Now pick stitch the lining to the hem (It’s what I like to do as gives the hand finished look) just catch the hem not right through the jacket. Leave plenty of give in the lining for wearing. I similarly do the same for the sleeve cuffs. Pop in 2 button holes and suitable buttons and there we are. 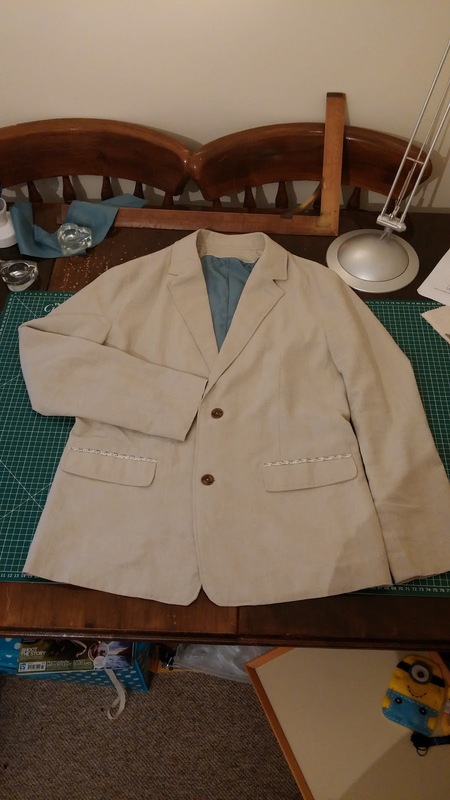 1 Summer Linen Jacket complete! I hope you enjoyed this step by step guide and I look forward to any comments/suggestions you might have. Next project?……… We shall have to see. Jamie .. I wanted to ask more details on your hessian interfacing, not sure i still understand how it comes together with the roll line. What do you use to make your buttonholes, by hand or by machine and what machine do you use if you use one. 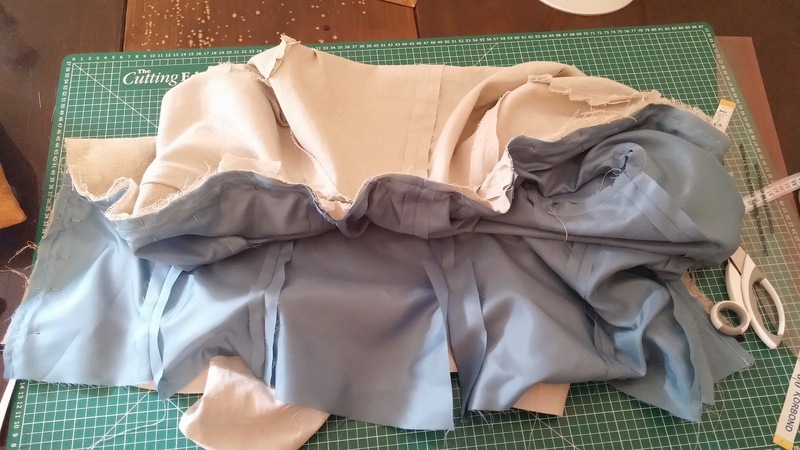 I put the interfacing in after the facings are attached with bias bound edge. 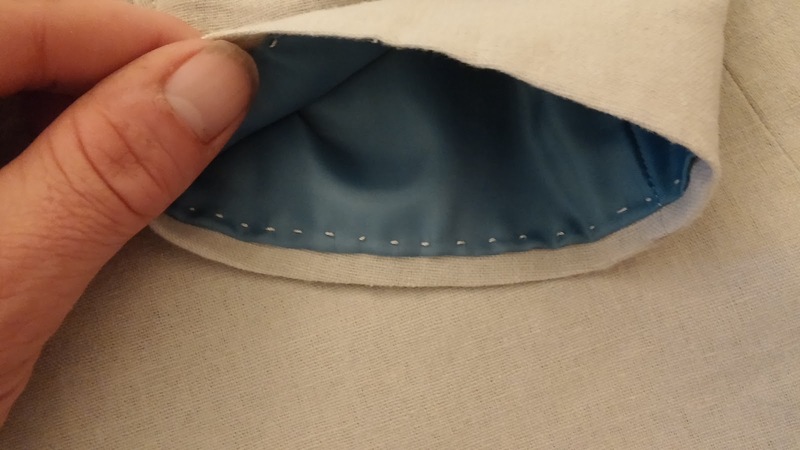 This is caught when I top-stitch the facing/front. 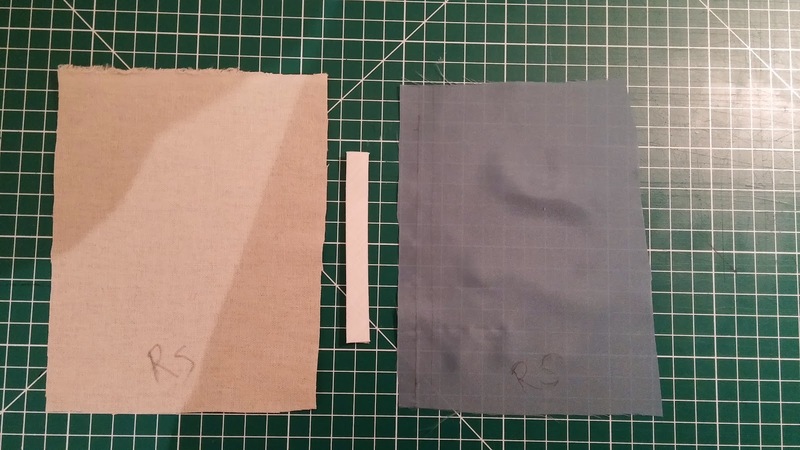 As for the roll line I stitch 1/4 inch twill tape along the roll line (to the hessian) before stitching in. Buttonholes depend on what I am making, sometimes I do them by hand but these were machine stitched. I use a Janome machine. Hope that helps? 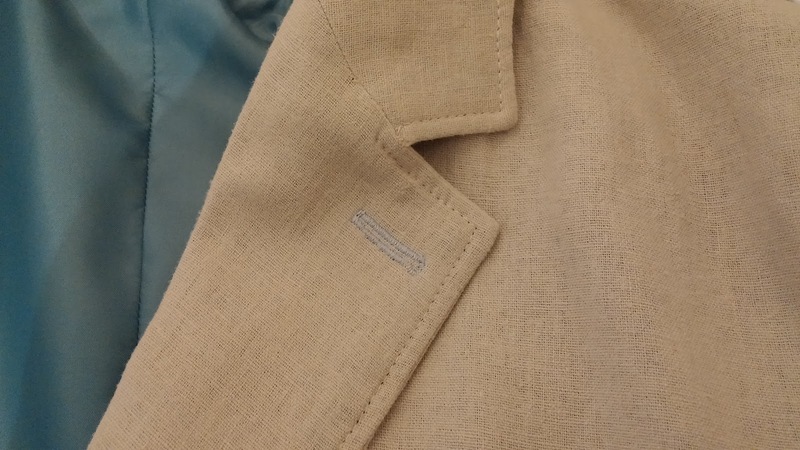 Yes it does, so all the shaping for the lapel happens with the hessian, and i saw the bias bound edge and understand that you insert it into the jacket up against the stitching on the jacket and then it is top stitched in place. 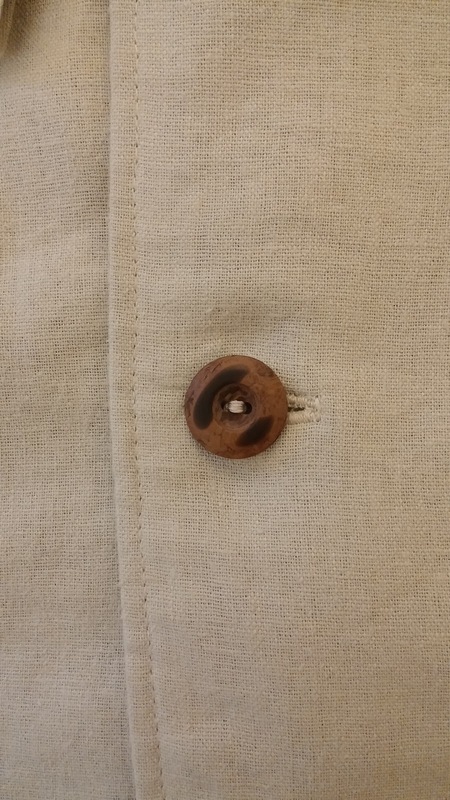 I have been practicing on handworked button holes but i seem to alway use my vintage singer buttonholer or a modern machine for a keyhole and shirt style button. I wanted to point out what has been very helpful is looking at the pictures in detail up close while I read your descriptions. Thanks from another male sewer in Devon!